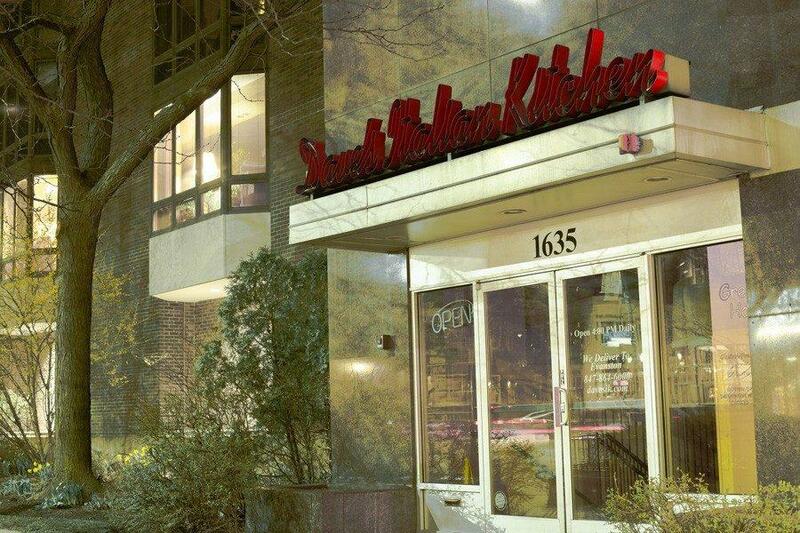 The 44-year-old location of Dave’s Italian Kitchen closed April 11. Owner Dave Glatt announced Monday the expected opening of a new Italian restaurant on Noyes Street in May. Dave Glatt of Dave’s Italian Kitchen announced Monday night that he will be opening a new Italian restaurant on Noyes Street after closing the 44-year-old restaurant earlier this month. The new restaurant, to be located at 815 Noyes St., will be called “Dave’s IK” and is projected to open in late May. The 1,200-square-foot space was previously occupied by Arlen’s Chicken and DMK Burger & Fish. Glatt said the outpouring of support from the community after he announced the closure led him to make this unexpected decision. Glatt added that he is still working out the specifics of opening the new restaurant. “I thought that closing a restaurant was harder than opening one, but I’m realizing now again that opening one’s harder,” he said. While Glatt began the process of opening the new restaurant, city officials sent a memo recommending the Economic Development Committee give a loan of almost $30,000 for kitchen equipment to outfit the new restaurant. The money for the proposed loan would come out of the Economic Development Business Expansion and Retention Fund. The committee will discuss the possibility of a loan Wednesday night. According to city documents, Glatt is applying for the loan through non-traditional means because he is about to file for bankruptcy. Glatt said in his loan proposal he was trapped in a “negative cycle of debt” that, combined with issues caused from the 2008 recession, forced him to close the restaurant and file for bankruptcy. Ald. Judy Fiske (1st), said retaining local businesses like Dave’s is important for both Evanston’s economy and community. City manager Wally Bobkiewicz said he looks forward to discussing the loan for the business in the committee and hopes to bring it before City Council soon. “The plan may evolve or change, but this is an opportunity to help a longstanding Evanston business,” Bobkiewicz said. In opening the new location, Glatt said he wanted to be more involved in the kitchen and the “physical” aspects of running a restaurant, in comparison to the more managerial role he played at the old restaurant. Glatt said he is already enjoying pursuing this new project. Fiske said she is pleased her ward will continue to host one of Glatt’s restaurants. “He’s really the heart and soul of Evanston,” Fiske said. This story was updated at 12:50 a.m. to include comments from Ald. Judy Fiske and city manager Wally Bobkiewicz. Correction: A previous version of the photo caption misstated the date Dave’s Italian Kitchen closed. It closed April 11. The Daily regrets the error.